It was warm on the edge of crispness…the inspired comfort would be crawling away in moments, soon to be replaced by the autumn evenings chill. We all sustained the dying days of that perfect summer by our religious pilgrimages to that perfect place. You never knew how desperately I loved you…how hard it was to be so close, holding constant distance between us. The way my head has felt like it would rip open from the torture of holding back from you…the need to feel your skin caressing mine…the constant temptation to have your taste on my tongue. When you laughed then, and kicked your feet free in the tiny pool turned golden from the waning lights attention…the near invisible droplets mimicked glowing gold dust surrounding you in a cloud of soft radiance…displaying your perfect profile in the manner it deserves. Your head thrown back in jovial elation…your swanlike neck arched jubilantly. I could see the cloud-soft texture of your skin from above the falls. I could hear your luscious laughter bubbling freely into my ears, the vibrations causing my very soul to stir in damning hunger. Dear Christ, how I longed to trail feather light kisses along your precious skin…to raise tiny bumps on your shoulders in the growing coolness and shadow. 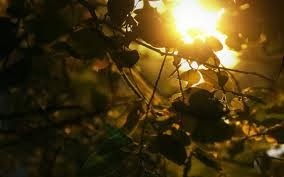 To feel your silken strands of sunlight tickling the lids of my eyes as they closed in passionate reverence. I wished that I had a camera at that miraculous moment more than I had ever wished it before…more than I ever have again.